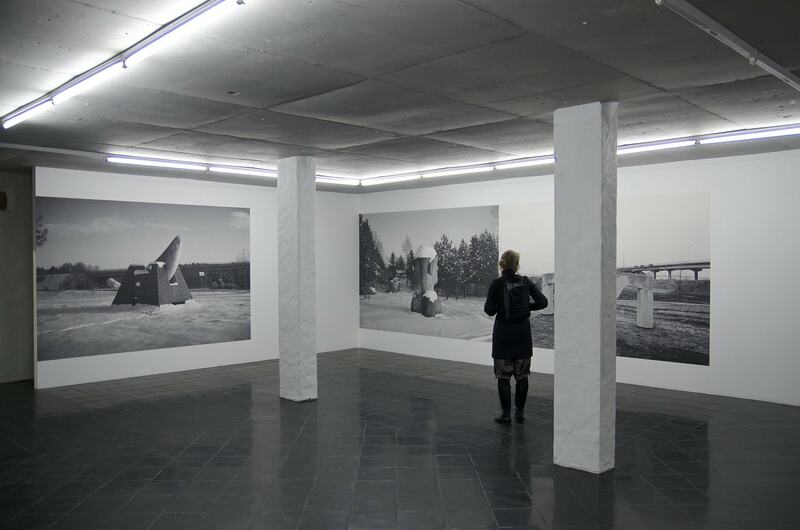 90s is an exhibition that has started from an approximate memory of the Lithuanian philosopher’s Arūnas Sverdiolas essay, written around 2005, where he attempted to describe the way the culture currently operates or operated at the time. The exhibition, showing work made from 1985 to 2010 (and more recent documentary photography), tells a few parallel narratives that test or extend the essay’s metaphors and expose practices with a distinct logic of their own. 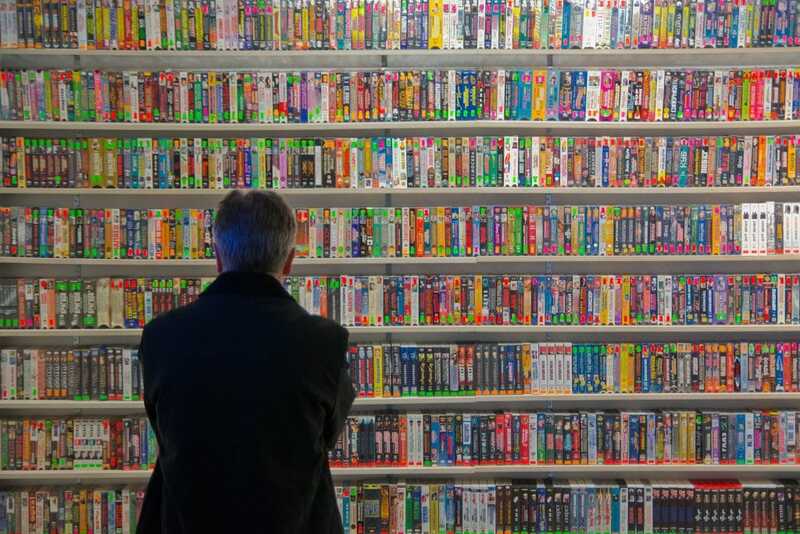 The lower floor of the exhibition is devoted to a fully functional video rental store with more than 3000 titles in VHS format. The video rental is transferred from Vilnius where it recently closed after 18 years of business. 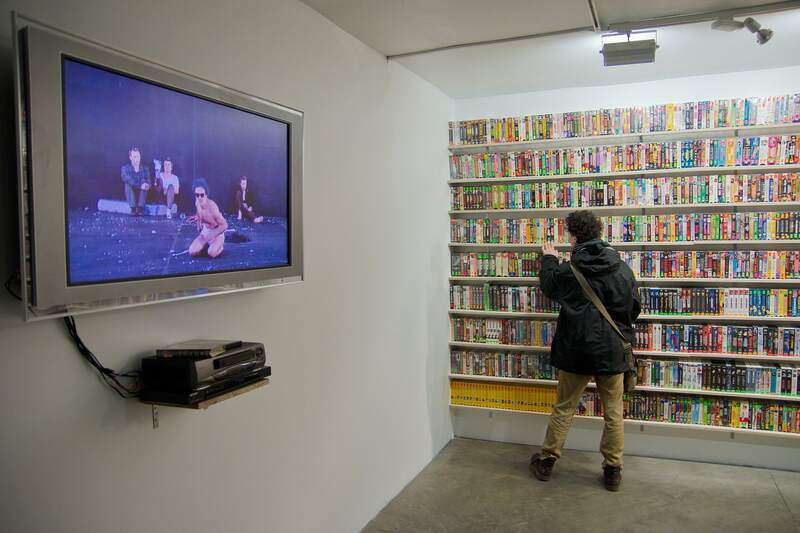 During some of these years, the artist Aurelija Maknytė was planting video recordings in the blank endings of the rented tapes, after the closing credits of the movies, mainly using television broadcasts as a source. The upper floor of the exhibition space is dedicated to three projects: Villa Jogaila, a private house designed by the architect Valdas Ozarinskas from mid 90s that was never fully realised; The Copy, a film by Darius Mikšys that was made as an attempt to understand another artist’s work by means of doing it; and a workshop of sculpture from concrete organized by the artist Mindaugas Navakas in 1985 in the territory of a construction elements factory in Vilnius (other participants: Ksenija Jaroševaitė, Kęstutis Musteikis, Naglis Nasvytis, Vladas Urbanavičius, Mindaugas Šnipas). The recent photographs of the sculptures are made by Gintautas Trimakas. Full essay “The Sieve, the Fog and the Honeycomb: Features of Contemporary Lithuanian Cultural Time and Space” by Arūnas Sverdiolas will be published in Latvian in mid April 2012 as part of the Translations series of Kim? Contemporary Art Centre; accompanied by a new forward by the author, its fragments will appear on ¼ Satori for the opening of the exhibition. Arūnas Sverdiolas is an acknowledged Lithuanian thinker, professor at Vilnius University and Vilnius Academy of Arts, representative of philosophy of hermeneutics and researcher of its history. The 90s is part of a slightly larger project carried out by the journal The Baltic Notebooks of Anthony Blunt, where the exhibition’s curator is one of the editors. The Baltic Notebooks… is an editorial initiative that borrows the name of the cold war era British art historian and Soviet spy in order to announce, generate and suggest events in the field of contemporary art in and around the region. Virginija Januškevičiūtė is a curator at the CAC, Vilnius. She curated presentations of the CAC at the Survival Kit festival in Riga in 2011 (the one-day-only Intermission) and at the Cesis Art Festival in 2010 (SWAN SWALLOW BONFIRE ROSEMARY RECITAL). She is currently a co-curator of Alex Cecchetti’s exhibition Comrades of Fear and Wonder and a Vilnius correspondent for the XI Baltic Triennial of International Art. Thanks to: „Eliksyras”, Egija Inzule, Aurelija Maknytė, Darius Mikšys, Mindaugas Navakas, Valdas Ozarinskas, Ieva Rozentāle, Arūnas Sverdiolas, Gintautas Trimakas, Dovilė Tumpytė, Raimondas Urbakavičius, Gints Verbickis.